8:00 a.m. to 5:00 p.m., Monday through Friday, except on holidays. New Year's Day, Martin Luther King, Jr. Civil Rights Day, Lincoln/Washington Presidents Day, Memorial Day, Independence Day, Labor Day, Veteran's Day, Thanksgiving and the day after Thanksgiving, and Christmas Day. Pima County Department of Environmental Quality staff can be reached by phone during office hours at (520) 724-7400. 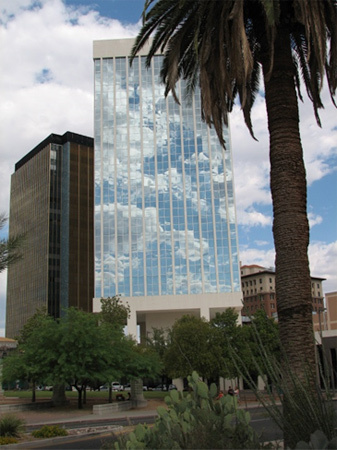 Our offices are located in Suite 700 at 33 N. Stone Avenue (at the corner of Stone and Pennington) in Tucson, Arizona. The County-owned landfills and transfer stations are operated by Tucson Recycling and Waste Services and the hours of operation and holidays closed for those waste disposal sites can be found at Tucson Recycling and Waste Services or by calling (520) 623-7300. The Pima County Waste Tire Collection Facility at 5301 W. Ina Road is operated by CRM. Hours of operation are Monday-Friday 8:00 a.m. to 4:00 p.m. For additional information, call toll-free (866) 973-3969.